The same day that we received word that the world’s oldest person, Susannah Mushatt Jones, died at the age of 116, we also learned the sad news that a young basketball player died at the age of 20. 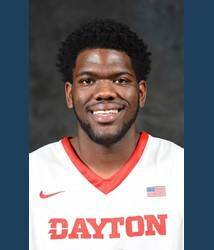 Steve McElvene, a center for the University of Dayton men’s basketball team, collapsed and died at his family’s home in New Haven, Indiana on Thursday, May 12. McElvene had put up some impressive numbers in his short college career, shooting 61% from the field and blocking 56 shots last season. His death came as a shock, and many are left grieving his sudden passing. Whether we live to be 116, or die at the young age of 20, we all face the certainty of having to stand before God one day. We should live our lives with this end in mind. “So we make it our goal to please him, whether we are at home in the body or away from it. For we must all appear before the judgment seat of Christ, that each one may receive what is due him for the things done while in the body, whether good or bad.”—2 Corinthians 5:9-10. This entry was posted in Christian Living, Current Events, Sports and tagged 2 Corinthians 5:9-10, college basketball player dies, death and judgment, dying young, illustration, oldest living person dies, Steve McElvene, Susannah Mushatt Jones. Bookmark the permalink.